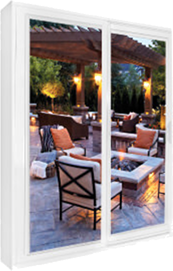 For energy efficiency, Bonneville Solutions® PVC windows are made of 100% PVC. Benefits include their insulating properties, UV resistance and require little maintenance. Our state of the art aluminum hybrid combines the strength of aluminum on the exterior with the energy efficiency of PVC on the interior. This innovative product assures you the strength and beauty of aluminum combined to the energy efficiency of vinyl. It’s simply the best of both worlds with no compromise! The right choice at the right price. Our engineered windows are made with precision, as well as sturdy materials, to ensure that they will last for years to come. Series 2000 windows will add a distinctive touch to your new home or renovation project.